Lura Schwarz Smith has been creating art quilts for over thirty years. One of her quilts was included in the 100 Best American Quilts of the 20th Century. 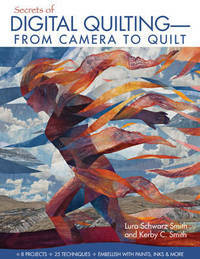 Lura and her husband Kerby teach digital quilt classes and produce art quilts using digital imagery.